This email was designed for Ambu. These emails were designed for their monthly updates to customers on their mailing list. 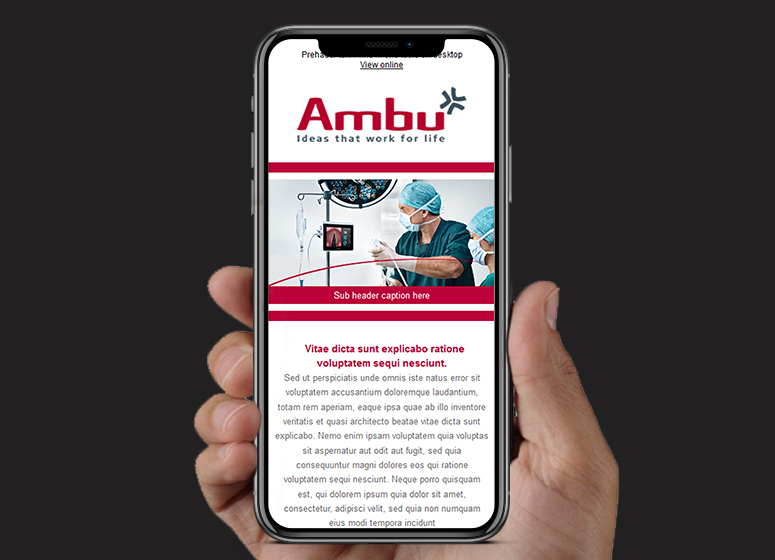 We had to use the strong Ambu branding to continue the company theme and make sure that customers would instantly know it was from a trusted sender on opening. The email design included responsive opening on mobile devices that rearranged the appearance to ensure that the users got the best experience from the Ambu Email. The HTML email framework used was a custom BJ Creative one that we have tested in numerous email clients across a huge number of devices. It has also been inspected by Mailchimp, Silverpop and eMessage to confirm its reactive properties. Email design is a very difficult topic as the code involved to build them has not updated over the years like the technology used for websites. The codebase has to be built using tables and with the never ending list of devices that we can now receive our email on, testing the code becomes more and more complicated. This is why using BJ Creative will save you time and money by allowing us to use our years of experience in professional environments ocoding this type or email. The easiest way to find out if we can help you is to contact BJ Creative. 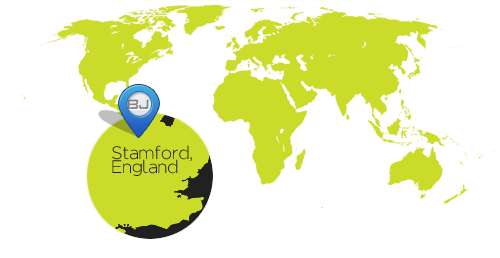 From our base in Stamford, we are willing to travel to you for initial meetings and showing you the progress as you require. However, if you are further afield, do not worry. BJ Creative has created HTML Emails for customers from Hinckley to Poland, email design is not limited by distance.